Finally it looks like the summer is here and in true Brit fashion I spent most of my evening bringing out the old summer clothes and putting away the wooly jumpers. I am hoping the sunshine is here to stay but I fear I may have got a bit carried away. 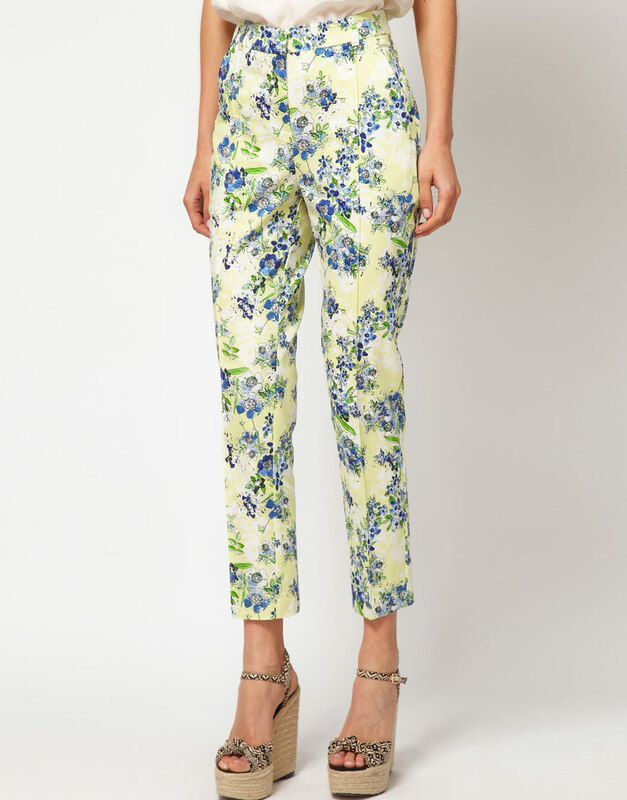 My most recent obsession for SS12 are trousers and the high street is full of silk joggers, cigarette pants and chinos in beautiful prints. I cannot wait to wear my own with a pair of killer wedges. 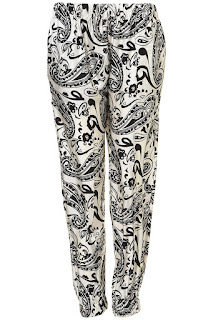 I have always loved paisley prints and the 'pyjama pants' look is one of my absolute faves this season. 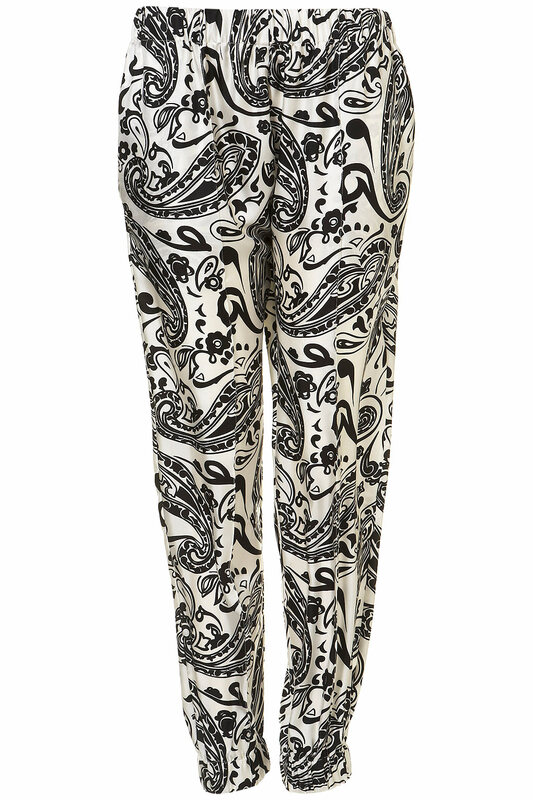 These silk joggers are definitely on the wishlist. 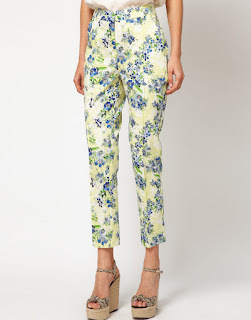 Floral prints are always a safe bet for the summer and these pretty ankle grazers are an ideal investment. 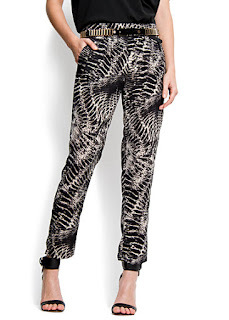 Love the animal print and as seen here, to make legs appear elongated and slender wear with heeled sandals. 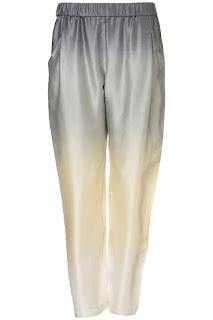 Ombre prints are everywhere and this subtle blend from grey to white looks gorgeous in my second choice of silken 'pyjama pants'. 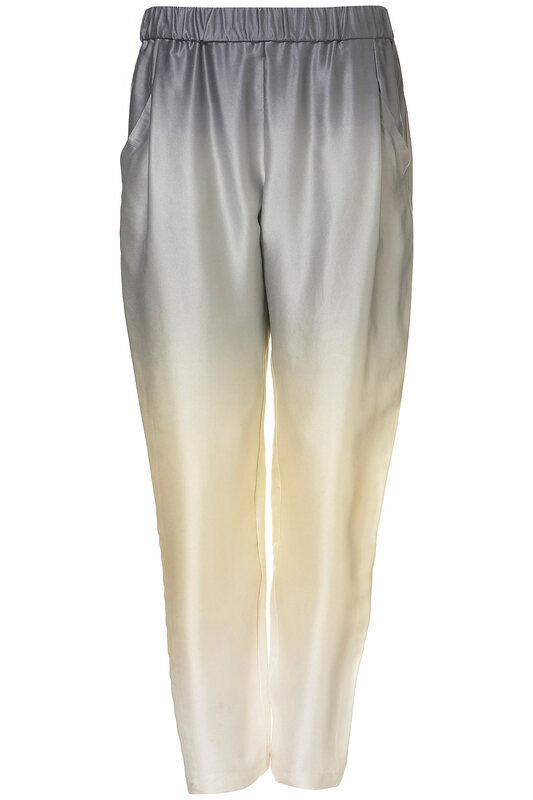 I love this preppy look with the pleated front, and the pastel shade of apricot is perfect for SS12.